More new releases for 2012. So these two books were published in March and April, but they're still new releases. Enjoy!! Part of the African Writers Series, this collection of short stories includes Lily Mabura's 'How Shall We Kill the Bishop? 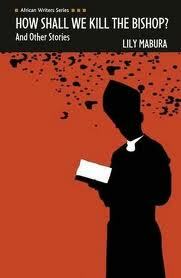 ', which was shortlisted for the 2010 Caine Prize for African Fiction. An artist in mourning for a brother who died fighting in Bosnia, a restless young woman alerted to the possibility of life outside her tight knit community, an unemployed lawyer lingering in a Kenyan hospital - Lily Mabura's first collection of short stories deals with characters whose fates fascinate and alarm. Set in Kenya, the USA, Namibia and the Congo, these brief, evocative tales demonstrate an acute sensitivity to the globalised trajectories which increasingly distinguish our world. Tottenham, London. Ten year-old Flambeau waits for his young mother to arrive from the Congo, along the same dangerous route that the human traffickers smuggled him. Homesick and pining for love, he sees a glimpse of life in Knight, a fellow Congolese. Knight, a sapeur - dressed to the nines and dressed to kill - is a gangster who lives for two purposes: to be notices, and to dance away the immigrants' troubles on a Friday night at Le Pitch, Broadwater Farm. And who knows, he might just be able to use his contacts to find Flambeau's mother, Bijou. knight has a girlfriend, Eleanor: a pale Scottish beauty whose love for him is total, but who can never be accepted into the world of Le Pitch. She becomes Flambeau's confidante, and he her mentor in the art of the Rhumba - the dance that will help her steal her lover's heart. But Knight's past is so troubled, and his present so dangerous, that to challenge the trafficker's to find Bijou might be more than his life is worth - something a ten year-old child cannot expect to understand. 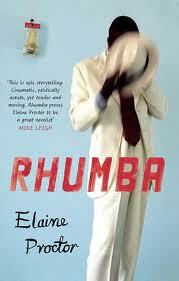 Side-note: Rhumba sounds amazing, I honestly cannot wait to get my hands on a copy. I do hope my Fairy Godmother is reading this.